Internet was once meant for the masses. However, machines from the 80s have sort of been left behind after the Ethernet revolution came with ADSL, Internet thru Cable and in the end Internet thru fiber cables. The oldest Amiga’s without Zorro expansion possibilities fell behind. Even with the latest Vampire FPGA cards available for Amiga 500 home computers. It doesn’t add a easy solution to get the net for it. There are wireless addons options, but it does resulting in you having to open your Amiga 500 again. A Plipbox Deluxe from Nicolas Baumgardt is a fantastic product for all of your Amiga’s as it is compatible with the parallel port of your Amiga! It’s a simple plug and play addon. Something that should’ve have been released years ago! Finally it’s here! Just a note. The device we have tested for this review, works on all classic Amiga home computers except for Amiga 1000! 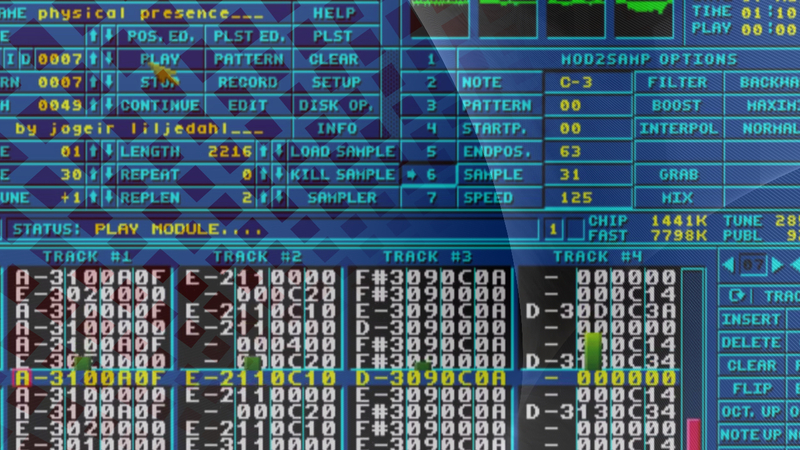 For that one, Nicolas sells a special version for Amiga 1000 at his website here! The Plipbox Deluxe allows all of your classic Amiga home computers to get connect via Ethernet! It works amazingly with the Roadshow 68k tcp/ip stack, that should have been the standard Amiga Ethernet stack years ago! Yes,.. Forget Miami or AmiTCP hassle. Roadshow 68k costs, but it does the very same job just way better. I haven’t got any penny for writing this, but I write this from my own experience with using Roadshow 68k for many months! It is really the perfect Amiga tcp/ip stack to use together with the Plipbox Deluxe You don’t need to unscrew your Amiga, just plug the Plipbox Deluxe to the Parallel port and as long as you set the Roadshow 68k to use DHCP connection. 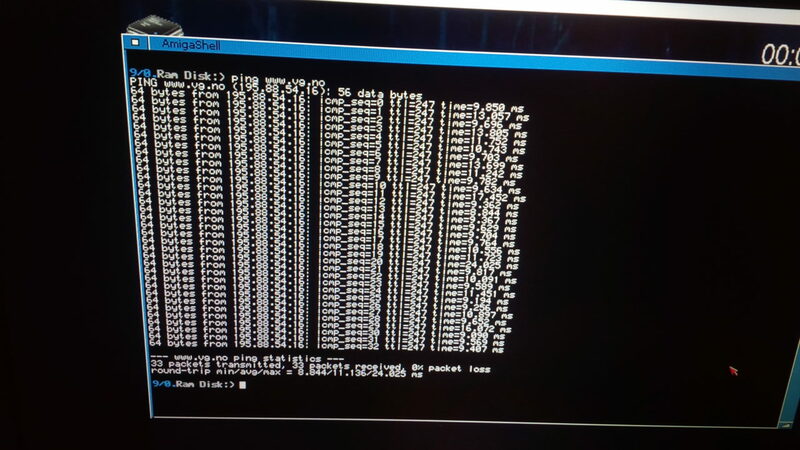 You really don’t need to touch anything after installing Roadshow 68k and then use the correct plipbox.device drivers. Together with your Plipbox Deluxe Ethernet to Parallel device. You also get a floppy with the plipbox.device drivers on that Amiga compatible floppy. There you have 3 different versions. One for plain 68k (plipbox.device_RELEASE_000), 0ne for 68020 Amigas (plipbox.device_RELEASE_020)and the third one for 68040, 68060 and Vampire accelerated Amigas (plipbox.device_RELEASE_040). Copy the correct one to your Workbench:Devs/Networks and that’s really it. You can also check Workbench:Devs/NetInterface where Plipbox settings should be. You can change the settings here by loading this Plipbox settings file into your favorite text editor. Plipbox Deluxe and Roadshow 68k is for sure making Amiga history. 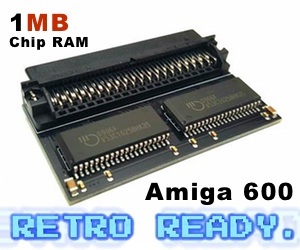 Both are quite new and both does the work that Amiga should had many, many years ago! Our unit is tested and reviewed by using Vampire 500 v2 inside our Amiga 500 test machine with Plipbox connected. Lovely connection for sure! The I/O speed up is around 96 kB/s which corresponds to 768 kBit/s, the speed of 12 parallel ISDN lines. So, Plipbox Deluxe can give quite nice speeds even though the Parallel port of the Amiga home computers ain’t the the fastest. We have tested browsing and using IRC with our Amiga 500 and its really comfortable. We have also tried NetSurf and it’s quite nice too. With some more development there then NetSurf could become a quite popular web browser for the Amiga. This is not a 10mbit PCMCIA ethernet card! Its not a PCI ethernet card neither which the Amiga’s can be upgraded to be used. However, this gives Ethernet possibility to all kinds of Amiga’s. The only negative thing if there is anything to comment is the fact that you need to give it more power as the Parallel port of the Amiga is to weak. If you don’t have a spare power connector slot where you are its a bit bad. However, most Amigan’s does have a place or room where you have lots of power connectors for sure. It isn’t a big thing really, but it would be awesome if this device didn’t need to use an external power supply to work. This should also be written in the documentation which comes with the Plipbox Deluxe device. That this device needs external power to function. We sort of thought that the device didn’t work as it should until my co-worker asked me if it should use the external power. I thought personally that it only used that for upgrading the firmware of the Plipbox Deluxe device. Plipbox Deluxe is a fantastic Ethernet to Parallel adapter product. It is really great and it really gets you on-line with your Amiga 500! Switzerland helps Amiga and so we thanks Nicolas for sending Amitopia a Plipbox Deluxe device for reviewing it. This is service and he really shows that he wants his product to be known. Getting your classic Amiga home computer has never been easier than with this device. We love it and You will love it too. If you need and want to get your classic Amiga home computer on-line. Then this Plipbox Deluxe device is your key to the Internet on it. Everything is cool about it. The speed, the easy set up and also the fact that this device doesn’t cost over 100 EUROS like some Amiga Zorro Ethernet cards does! You can get all of the Plipbox devices for under 70 EUROS! That’s a bargain in the Amiga land for sure. Be aware though! That you must check what kind of Plipbox device that your Amiga can take. Nicolas have several versions. For example. Amiga 1000 have a different Parallel port than the other Amiga’s. So, do order the right Plipbox. 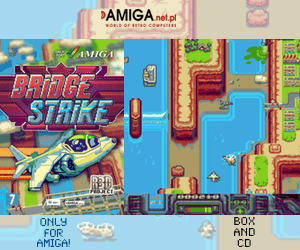 Nicolas should write the Amiga compatibility at the frontpage of his shop we think. You do get the information about which Amiga it works for when you click on the product, but we think that this should be known before clicking on the products. Less clicking, happier customers. We really recommend Plipbox Deluxe if you’ve want great Internet speeds on your classic Amiga home computer. The price is right, the features is rich and it’s very easy to get into working status with Roadshow 68k tcp/ip stack.